Water for a Fit and Healthy Body! Unlike other mammals, your body cannot store water. You need to drink enough every day. The body can go weeks without food but only a couple of days without water. The average person needs between 2 and 3 liters. The best way to ensure you stay hydrated is to make it a habit. The amount of water you need is affected by both individual factors like height and weight and external factors like weather and climate. According to the American Council on Exercise (ACE), in hot weather it’s possible to lose up the 1 quart of water in an hour. So drink extra when working, exercising, or relaxing outside this summer. Thirst is a sign of dehydration. Don’t wait for your body to prompt you to drink water. Regular hydration also helps your body stay at a cool 98.6°F no matter the temperature outside. Turns out this valuable resource, most of us take for granted, does more for your body than just quench your thirst. Water helps your body with digestion, joint lubrication, cell generation, and the transportation of nutrients. This translates to more efficient weight loss, healthier skin, happier joints, and better muscle contractions. In the stomach, water increases your feeling of satiety- ‘being full’ – and helps the body break down foods more efficiently. This will help you avoid consuming extra calories while the calories you do consume will go farther. Water also helps the body flush wastes, keeping your system balanced and more receptive to weight loss. Your body’s cells hold and use the water you drink. Hydrated cells combine for supple skin and lubricated joints. In the blood, water circulates oxygen and nutrients throughout the body and assists with chemical reactions, including muscle contractions. Try linking water consumption to your daily activities, meals, and exercise. The benefits far outweigh the effort!!! 1. Use a bottle or cup with measurements or of a predetermined size. 2. Set goals in ounces/liters by the clock or around daily appointments. 3. Use a bottle that holds a whole day’s water and finish before bed. 4. Make water a habit with daily activities like eating, brushing your teeth, or walking the dog. 5. Eat your veggies! Diets with plenty of vegetables contain more water than those without. 6. 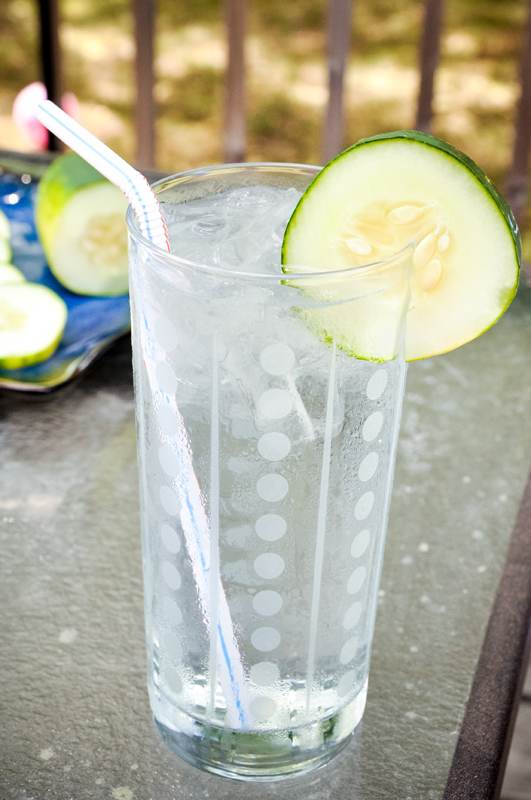 Try flavoring your water with low calories fruits like lemons and limes.